That’s the number of alligators that have been found on Long Island over the course of a little more than a year. The Suffolk County SPCA reported the 20th such discovery Saturday after Suffolk County police detectives called SPCA investigators Friday to an Islip home while they were investigating an unrelated matter, said Suffolk SPCA Chief Roy Gross. 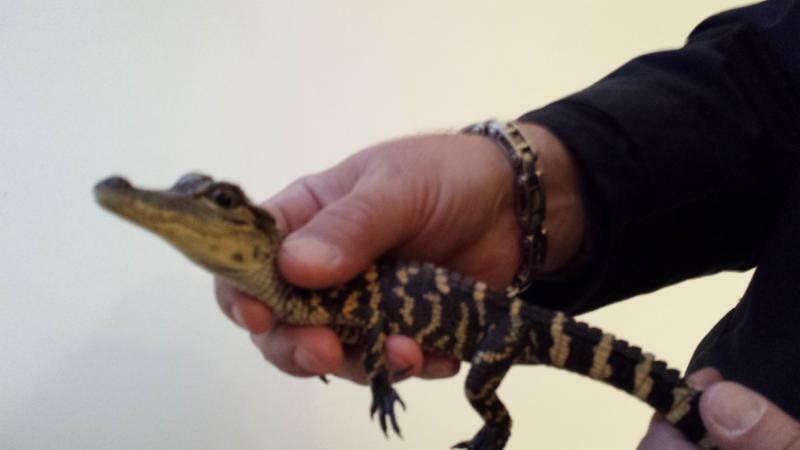 The 13-inch alligator—the smallest of the 20 found over the last 16 months—appeared healthy and is being held by the SPCA until the reptile can be transferred to a licensed facility, Gross said. New York State Department of Environmental Conservation officers were also alerted. The owner may face charges for possession of the reptile, Gross said. Gator No. 20 appears to be under a year old, Gross said. Alligators typically grow at a rate of about one foot a year and eventually become too big to handle, which is why illegal gator owners eventually release them. Gross is concerned that their luck may eventually run out and someone could get seriously hurt. Gross, a 30-year SPCA veteran, said he’s never quite seen anything like this before, adding that the discovery of 16 gators over a nine-month period was “unheard of.” Also troubling, he said, were the instances when gators were spotted in public—on the lawn of a Mastic Beach home, at an Applebee’s in Shirley, a Wading River golf course, Lilly Pond County Park in Lake Ronkonkoma, and in a Baldwin supermarket parking lot. The other 19 gators were between two and four feet long. The Suffolk SPCA has been aggressive in publicizing these discoveries since alligators began surfacing late last year. Alligators cannot survive cold Long Island winters, officials have said. In response to the gator discoveries, officials created a Long Island reptile amnesty day for owners of an illegal reptile to anonymously drop it off at a location where trained reptile handlers are present. The most recent reptile amnesty day was held in September. Gross said about half of the 12 reptiles turned in to the SPCA during the two events were alligators. Another reptile amnesty day is tentatively scheduled for next spring and will likely include mammals, Gross said. The Suffolk SPCA last week also conducted a training seminar for law enforcement authorities that may come in contact with gators and other reptiles. Anyone who sees an alligator, reptile or other potentially dangerous animals can call the Suffolk SPCA at 631-382-SPCA.